Grier Woolworth spends her nights weaving spooky tales of lost souls and tragedies for tourists on the streets of downtown Savannah. Hoop skirt and parasol aside, it's not a bad gig. The pay is crap, but the tips keep the lights on in her personal haunted mansion and her pantry stocked with ramen. 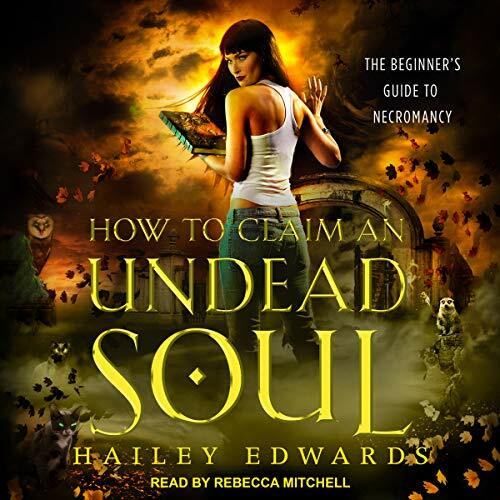 Life is about as normal as it gets for an ex-necromancer hiding among humans - until the society that excommunicated Grier offers her a second chance at being more than ordinary. Too bad no one warned her the trouble with being extraordinary is it can get you killed. Her beginning may be our end.... 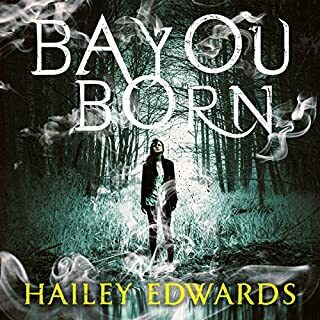 Deep in the humid Mississippi bayou, a half-wild child is dragged from the murky waters. She has no memories and no family and is covered in mysterious markings. Adopted by the policeman who rescued her, Luce Boudreau follows him onto the force, determined to prove herself in the eyes of those who are still suspicious. Camille Ellis is the Earthen Conclave's golden girl. Her peculiar talent solves cases with a touch. She isn't afraid of getting her hands dirty, but every bright star casts a shadow, and her deepest scars lurk just beneath the skin. A routine consultation goes sideways when a victim's brother gets involved in the investigation. Riding the edge of grief, the warg will go to any lengths to avenge his sister's death. Even if it means ensuring Cam's cooperation at the jaws of his wolf. Texas is the only home Thierry has ever known, and she's not going anywhere - even if it means following in her notorious father's footsteps as a peacekeeper. But pinning on the badge opens her eyes to the fact sometimes fae need protection, too, and that sometimes humans are the real monsters. Welcome to Wicked - the paranormal sixth borough of New York that's home to witches and goblins, werewolves and necromancers, elves and vampires‚ and former Detective Dani DeMarco. 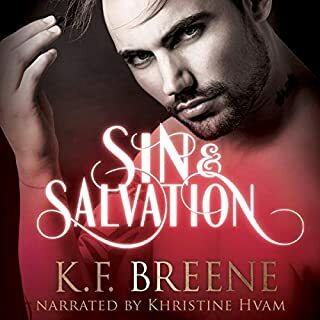 Dani's busy with the grand opening of her family's pizza parlor when a knock on the door leaves her face to face with the stunning yet lethal vampire in charge of the NYPD's supernatural branch - Captain Matthew King. 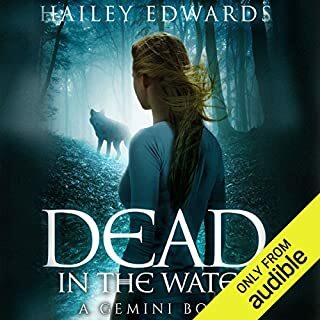 There's been a high-profile double homicide in the Sixth Borough, and Dani's peculiar talent is the only hope to untangle the web of lies and magic connecting the dead victims. There’s an underground magical vault, protected by sorcery, security cameras, guards, and whatnot. Think of the most impenetrable place in the world. Now triple it. It belongs to a dragon, and I was hired to break into it and steal his hoard. I might be an alchemist extraordinaire and the best burglar on the East Coast, but this is not a solo job. I’ll need a team for this one. Accompanied by a powerful sorcerer, a fortune teller, a scam artist, and a hacker, I embark on the heist of the century. If we succeed, we’ll be legends. If not - crispy dragon snacks. Great start to a great series! My name is Winter Wayne, and I'm a Bone witch - minus the magic. There's a price on my head, and my own coworkers are hunting me down. My mad fighting skills alone aren't going to be enough to keep me alive. Looks like the time has come to dig out my mother's bones and complete the ritual that will finally ignite the magic in my bones - if I even make it that far. She never wanted me to be part of the paranormal world, but she made sure I was prepared for it anyway. I'm finally about to find out why. Life was simpler for Grier when she was flat broke and a social pariah. Now she's carrying the baggage that goes along with the title of Dame Woolworth, and shouldering that weight is giving her a serious crick in the neck. Her work as a Haint is the one thing that makes her feel normal, but even that's more paranormal than usual. Spirits are vanishing from well-known hot spots on the ghost tour circuit, and vampires are turning up as shriveled husks. 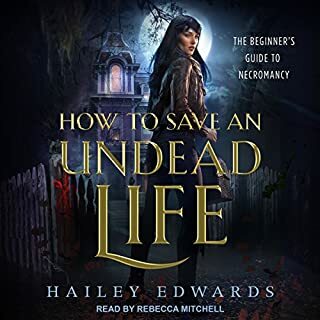 Grier takes it upon herself to uncover what's preying on Savannah's supernatural community, and what she uncovers is bigger than a few flickering lampposts gone dark. It's a deadly threat unleashed by one of their own, and saving her city just might kill her. This series is fantastic! I love the intricacies and politics of mystic vs human worlds. The mystic society has a very detailed caste system. Can’t wait for the next novel! 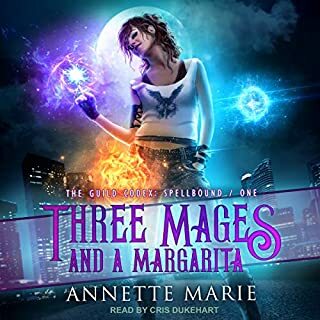 Greer, Amalie and Boaz are back on a brand new adventure. Things aren’t always as they seem and as this story tells, not all that’s seen can be unseen. Greer is trying to learn the parts of her craft she missed out on while she was in jail. Her teacher, her childhood nemesis is trying to do all he can to show her he is there for her and not just as a way to spy on her. Though, Linus hasn’t proven himself... yet. The story unfolds and I tell you the more I listened the more I had to have. I just had to know what was happening next. I will say this, the big reveal, the final ball dropping had my heart breaking.... and it’s one of those things you never see aiming. So it was fantastic!